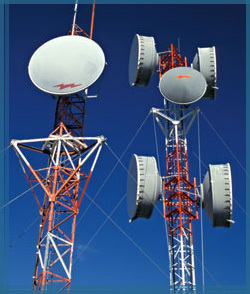 Varrsana supplies telecommunication towers with both tubular and angular designs. The towers manufactured by the company can survive the worst environment. They last long in the extreme cold or hot atmosphere. Now-a-days, duel use towers are gaining popularity. Planning problems and public objections in installing new towers, are the issues that have made them more popular. The clientele of the company is enriched with various clients from the broadcast, microwave, cellular and other industries. Varrsana has been manufacturing the following types of towers. Copyright © 2007, Varrsana Ispat Limited.